I have a love/hate relationship with trends. Trends that come and go are fun to incorporate in small ways to change things up a bit but it can also be unfortunate if you invest heavily in a trend that’s short lived, only to regret your choice a year or so later. When Kristina and I work with our design clients we try to select classic timeless finishes or incorporate trends that we think are long lasting in the parts of a project that require more of a financial investment and then point out ways to bring the shorter lived trendier elements in through smaller accents that won’t be as much of a hassle to swap out a few years down the line. 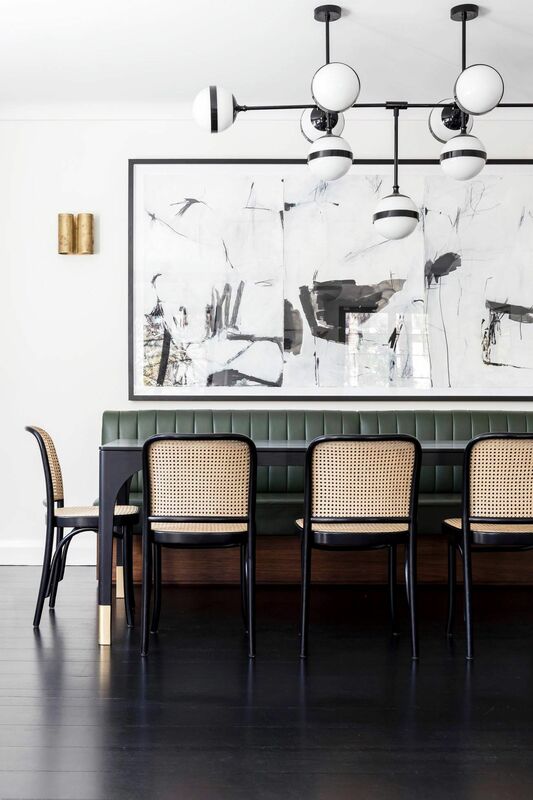 There’s a fine balance when it comes to trends so today I’m sharing the residential interior design trends for 2019 that I think we’ll be seeing lots of in the year(s) ahead. For some of the other shorter lived trends, I’m going to steer clear of those because I don’t think they’re quite worth investing in for longevity for the average homeowner but I’d love to hear from you in the comments if you agree with my predictions or not! So, let’s get right into (part one of) the design trends we’ll be seeing a lot more of for 2019! A huge trend that we’re going to continue to see over the next few years is a movement towards warmer colors and finishes. Think terra cotta, mustard, blush, and tones of reds, corals and oranges that we haven’t been seeing as much of over the past few years. Fortunately, these colors pair very nicely with the blues, greens and greys that have been most popular over the last several years. When it comes to wood tones we’re also seeing a movement towards soft honey colored woods, warmer oaks (but not your grandma’s oak cabinets! lol) and rich mid tone woods that warm up a space. I’m personally still a big fan of light cool woods and they’re not going anywhere but get ready to see lots of warmer woods in finishes and furniture! I personally am a HUGE fan of this trend and am loving the warmer finishes, materials and furniture that’s popping up. Buh-bye to the cool blue/purple toned greys and ashy grey floors and say hello to a bit of warmth and coziness! How GORGEOUS is this modern kitchen in a rich warm wood? See?!! Just look how pretty these warm tones (rust, mustard and blush!) look with this grey sofa - STUNNING! Last year we started to see the resurgence of curved lines reminiscent of the Art Deco era. When I think of Art Deco I think of soft lines and curves, vertical channel tufting and details with muted brass. Art Deco is glam and bold and luxurious. It’s not for everyone but it is a classic design style that’s certainly fabulous (albeit, not always the ‘coziest’ of design styles). I love all out Art Deco for commercial spaces but residentially, I think it’s best to incorporate this trend in smaller elements. If you want to bring touches of the Art Deco trend into your home I’d suggest doing so through smaller pieces like accent chairs, lighting and artwork. Love this art deco DIY! Another trend I’m seeing a lot of is the introduction of cane material into furniture. Over the past year or so we’ve been seeing more introduction of woven woods, materials and wicker again and now caned furniture is back in the mix and I’m loving it!! This trend plays to the movement towards warmth and texture and I am personally a huge fan! I predict that this trend is going to be on the rise for a while. Watch out for this trend in smaller accent chairs, daybeds, cabinets and other storage pieces. While the aesthetic definitely lends itself to a boho/eclectic vibe very well this material is also suited for scandinavian and minimalist spaces too! I think this bed frame speaks for itself….simply stunning! With it’s curved lines this piece hits two trends in one! Words can’t quite describe just how much I ADORE this space! This dining space perfectly achieves modern, warm, minimalism - quite the combination! How beautiful is this DIY channel tufted headboard?! Here’s another DIY - and shown paired with warm woods and textiles! Stunning!! Here’s that mustard + blush color combo again, and a beautiful channel tufted sofa! How sleek is this modern take on a channel tufted headboard?! Also, note the warm woods and rug! Move over fiddle leaf fig, there’s a new tree in town! Starting last year I started noticing a new trendy tree on the block - the olive tree. Olive trees are a lot more subtle than the fig tree that’s been the ‘it’ houseplant of the past few years. The green is soft and more saje-y, the leaves are smaller and the tree itself is smaller too. I love all kinds of greenery so I don’t discriminate when it comes to trees and I am a very big fan of the olive tree! What do you think of this new tree on the block? How perfectly does the olive tree fit in with this adorable nursery?! There’s something about the softness of olive trees that I just love! No room for another tree? Olive branches are just as beautiful! Just spend a few minutes perusing Instagram and Pinterest and you’ll see that the trend this day is all about the concealed hood range. I can remember about 7-9 years ago every kitchen I was designing had a statement hood fan and now, everyone wants theirs hidden! I definitely like more of a minimalist look for kitchens so this trend is one I can get behind. The concealed hood range allows the other features of this kitchen to stand out! The concealed hood range in this kitchen makes the space feel much brighter and more open! #sorrynotsorry for the shameless self promotion but I couldn’t not share #theduchessonthedrive if I was talking about concealed hood ranges! This tiled hood range is gorgeous, don’t you think?! So there you have it! Part one of my design trends to watch for 2019! Do you agree with my predictions? Stay tuned for part two next week!